A SPECIAL ELECTION WILL BE HELD ON TUESDAY, May 5, 2015 At the usual places of holding elections throughout the County. Your application to receive a ballot must be received by mail no later than Saturday May 2, 2015 at 12:00 noon. For more information on Absentee voting click here. Request your absentee ballot by clicking here. Requested Ballots will be sent out Tuesday April 7, 2015. Ballots will be sent out beginning 45 days prior to the election. Your application to receive a ballot must be received no later than the Saturday May 2, 2015. For more information on Overseas Citizens and Military voting click here. The Polls for Election Day will open at 6:30 A.M. and remain open until 7:30 P.M. on election day. 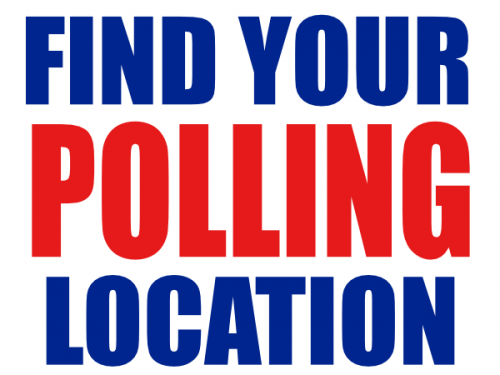 Find your polling location here.